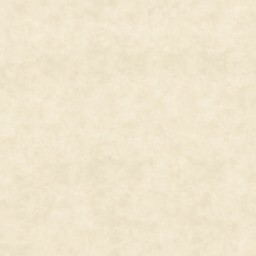 Canonfire :: View topic - Rules Regarding Living Greyhawk Material. Please Read. Rules Regarding Living Greyhawk Material. Please Read. Posted: Fri Jan 13, 2012 4:11 pm Post subject: Rules Regarding Living Greyhawk Material. Please Read. The goal of these forums is to act as a repository for Living Greyhawk material that is freely offered by the IP holders (i.e. the authors/owners), but also to further general discussion and development of all of the Regions/Meta-Regions by the Greyhawk fan base. In addition to the usual Forum Rules, there are additional rules specifically regarding the posting/submission of Living Greyhawk material. DO NOT POST MATERIAL THAT IS NOT YOUR PROPERTY. This includes ALL living Greyhawk Core material, as well as ALL modules from Seasons 1 and 2. Such material is the property of Wizards of the Coast/Hasbro, and so cannot be posted in full, either in forum posts or submitted as a Download. References/excerpts of such material should be kept to a few sentences- a small paragraph at most. It is also perfectly acceptable to post a list of all Core and Seasons 1 and 2 adventures/materials, a brief description of each of them, and even a summary of seasonal Core happenings, but that is about the limit of what is acceptable. You may also post links to various Living Greyhawk web pages, such as WotC’s Living Greyhawk web pages, former Triad sites, and any newer sites that still host Living Greyhawk material, and discuss what information is posted there. When posting any descriptions of material, especially when revealing information from privileged sources such as modules, consider adding SPOILER to the header. DO NOT DISCUSS OR PROVIDE LINKS TO WEB SITES THAT FEATURE OR HOST ILLEGAL DOWNLOADS OF LIVING GREYHAWK MATERIAL THAT IS THE PROPERTY OF OTHERS. If YOU own Living Greyhawk material (i.e. YOU are the author), and wish to freely offer material that you have written, either in forum posts or as a Download, then identity yourself as the author when doing so. Those who do not identify themselves properly will be assumed to be posting such material without the permission of the author/owner, and will be reprimanded. DUNGEONS & DRAGONS, D&D, GREYHAWK and RPGA are registered trademarks of Wizards of the Coast, Inc. LIVING GREYHAWK is a trademark of Wizards of the Coast, Inc.
Any posted content which is deemed to constitute a challenge to the above will be removed.